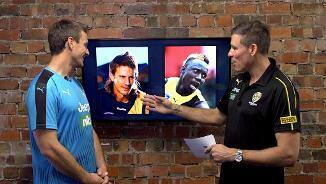 Richmond ruck coach Ivan Maric provides ‘Roar Vision’ with an insight into the development of Mabior Chol. 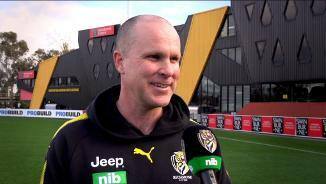 Richmond's General Manager of Football, Neil Balme, says the Tigers’ number one ruckman, Toby Nankervis, will receive plenty of ruck support in 2019. 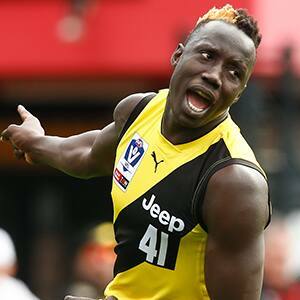 Richmond has finalised its list changes ahead of today’s deadline. 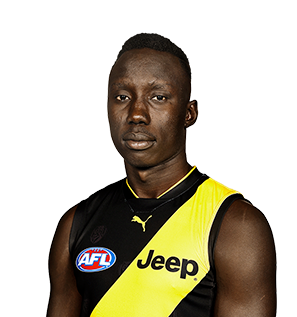 The Sudanese-born forward had his most consistent season at Richmond, playing off the bench as the VFL team’s second ruckman. The role suited his athletic style before a broken foot in June meant he didn’t play again until the second VFL final. Was delisted at the end of the season but had shown enough improvement and potential to be re-rookied. Draft history: 2016 Rookie Draft selection (Richmond) No. 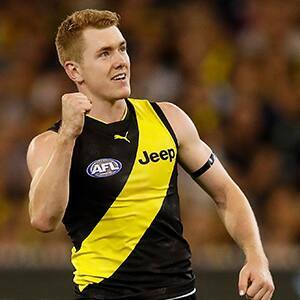 30; 2019 Rookie Draft selection (Richmond) No. 45.